Did I enjoy the WoWS film, yes, what did that say about me, who knows. Did I enjoy the book, immensely. Belfort is of course a truly grotesque character who appeared to be able to create and live a cartoon life of instant mega success, drugs and beautiful women in which the joke was always on someone else. The story unfolds in much the same manner as presented in the film. Snappy and zippy. Whether it’s entirely believable is another matter but it’s page turning stuff. Very to easy to read and recommended on that basis alone. Anyone who has worked in an office will be able to relate to his inner monologue about his co-workers and employees. This has been another disrupted year but here’s an update on what I’ve read to date this year. I read this at the turn of the year and can only report that it follows in the footsteps of the other books written by Ned. No pretensions other than to be what it is, just more Ned (who appears to have morphed into an anchor commentator (Ned and David Millar may be cheaper than Phil and Paul, who knows)). From what I can recall it was an enjoyable enough easy read. My main memory is his description of the portaloos at the tour. And before that this year was this James Bonder. Having run through the whole Ian Flemming Bond catalogue a year or so ago (thank you kindle) I saw this in the library and thought I’d give it a spin. It was a fine easy read, though Bond goes a bit ott when breaking a neck. My advice to Bond, do not walk away you muppet. Pretty sure even in those days you could have organised some protection for your close family even if it had to be on the quiet owing to your secret status. Fine for the beach (or plane). Ok, catching up with the backlog of books read this year, and it’s David Walsh’s Seven Deadly Sins. Again no new information here (if you’ve read as many cycling books as…), but did I enjoy it. Well no as much as I’d hoped. This book feels like a cash in, brought out to coincide with Armstrong’s Oprah appearance, and summarises David’s history to date. The new information of interest being personal insight’s into how David reacted to the events that played out before him. For me perhaps the most revealing was how he reacted to the death of one of his children who he openly describes as his favourite child. A 6 out of 10. For no reason other that I was having trouble remembering what books I’d read this year, here’s the first in an occasional review of the same. Check out the cover. Yes it’s a cycling book. Enjoyed it. 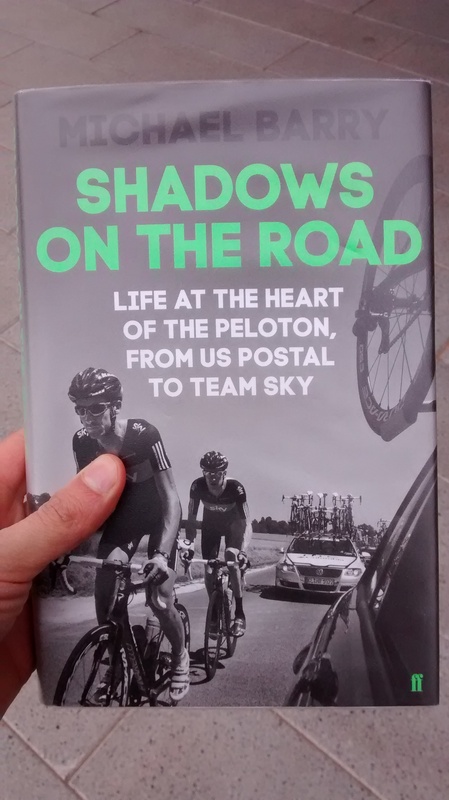 No new information in here (if you’ve read as many cycling books as I have) apart from some nice insights into Michael’s early career and the emotion of injury and how it impacts on his livelihood, relationships and his family. A nice easy, and uplifting, read. Oh yeah he took drugs and lied about it yada yada etc.